Explore Oakland’s diverse and rich patchwork of neighborhoods by cycling through them with an experienced guide from OMCA. 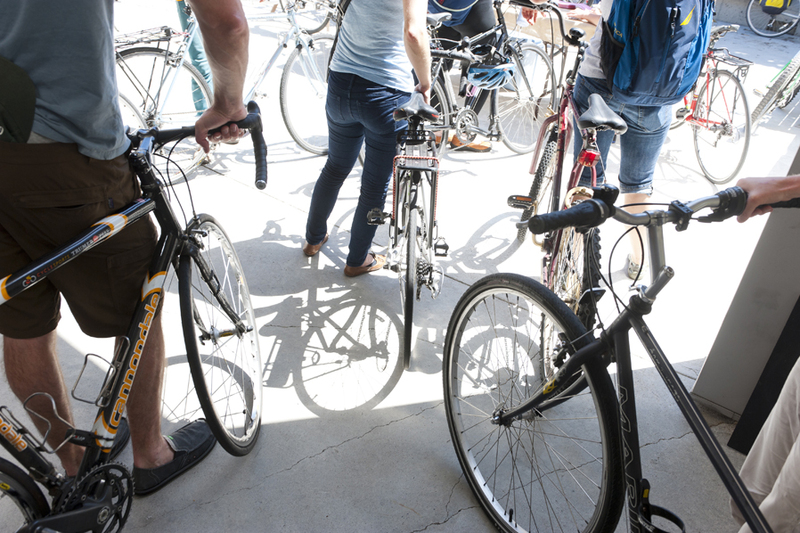 On select Sundays from May through October, OMCA Docents lead bike tours of this eclectic city. Make a day of it with an adventurous excursion that dives deep into our local history—and gets you on the move. The Fruitvale tour travels from the Museum through the old Clinton neighborhood, crosses over to the Embarcadero, then along the Embarcadero to Fruitvale Avenue, up 35th Avenue to the Peralta House, then back through Jingletown and along East 12th St. to the Museum. Along the way, you might hear about Moses Chase, Thomas Badger, Gale Wagner, Ygnacio Peralta, Charles May, and C. Thomas Patten. For more information and to make a reservation, call 510-318-8470 or docentcenter@museumca.org.